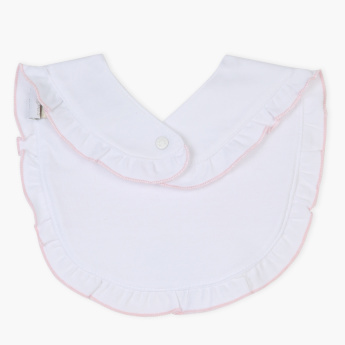 Giggles Embroiderd Bib | White | Helps to protect baby cloth from getting stain. 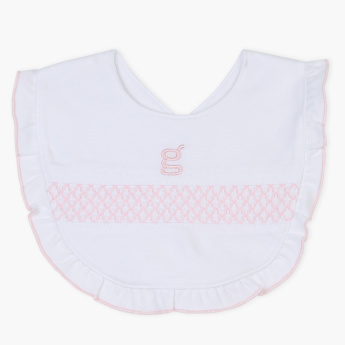 Extra soft and gentle, this embroidered bib is a must-have for your little one. It features a frilled hem which adds to its look and comes with a press button closure that makes it easy to wear.